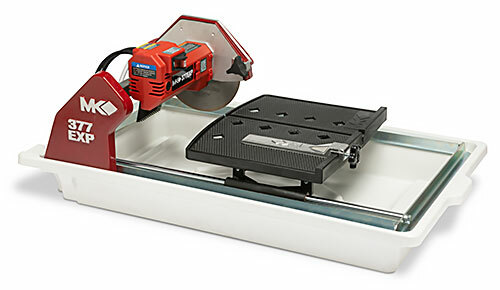 The MK-377EXP is built with a linear guide bar system that ensures precision cutting of tile materials including ceramic, travertine and slate. A hinged blade guard allows for easy blade changes and its thermoplastic water reservoir will not rust or bend out of shape. 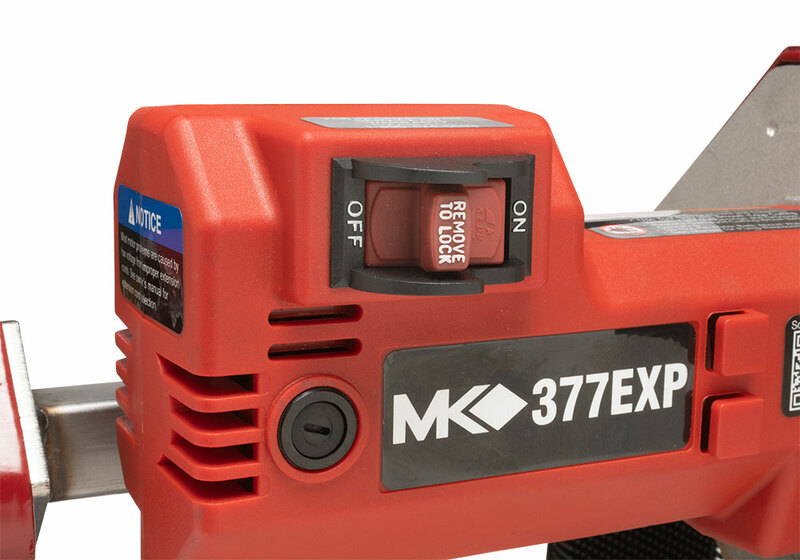 MK-377EXP includes a 7" diamond blade, water pump, wrenches and a rip guide. One-year limited warranty. LxWxH 33" x 19" x 13"